Size: Glass jar is about 5 cms (2 inches) across and the height approximately 6 cm (2.5 inches). Burns for: Approximately 25-30 hours. 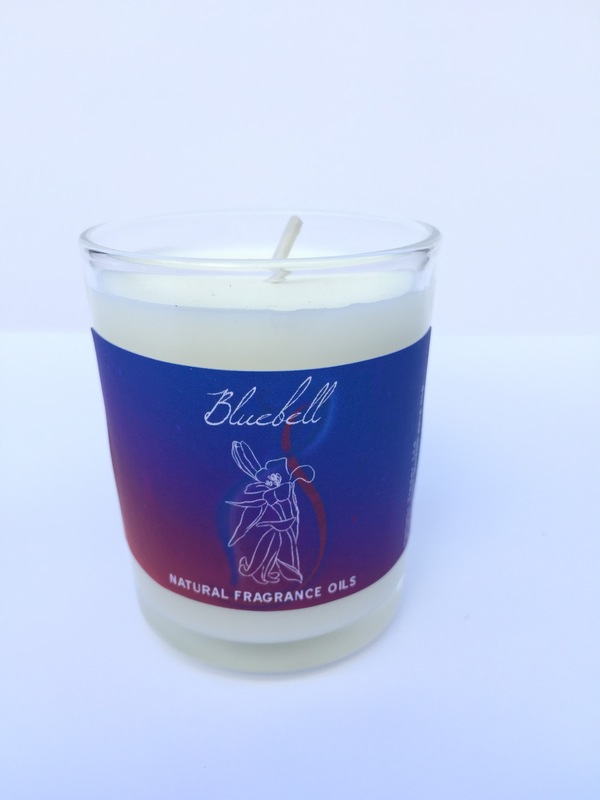 A relaxing and uniquely floral bluebell scented candle. Containing natural fragrance oils, perfumes and essential oils. 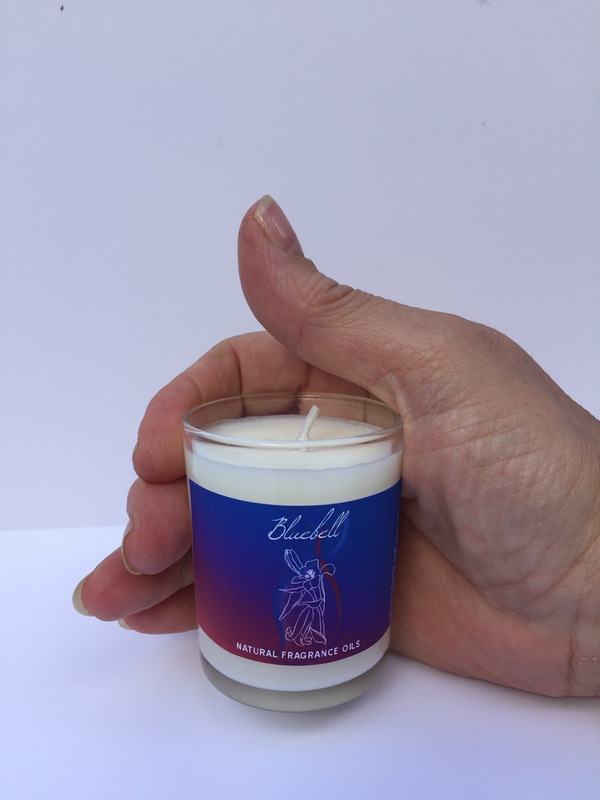 The plant wax contains no petroleum or paraffin products. Glass jar is made from recycled glass. 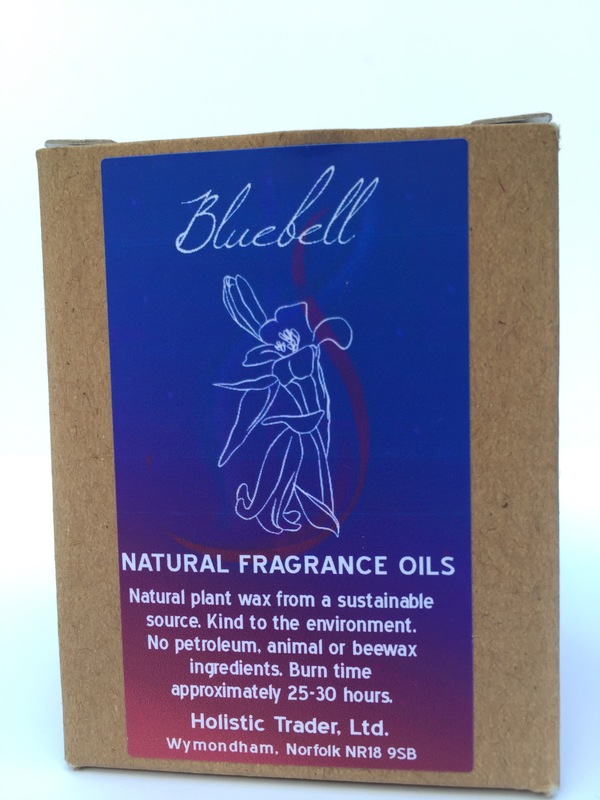 The wax is natural plant wax from a sustainable source.